Luxury label make-up brands are a hit or miss. The most prominent and fashionable logos could be emblazoned on the products, but the formulas may be as useful as a toy make-up. Giorgio Armani Beauty, however, has made its way into the hearts and makeup pouches of the most critical makeup junkies. 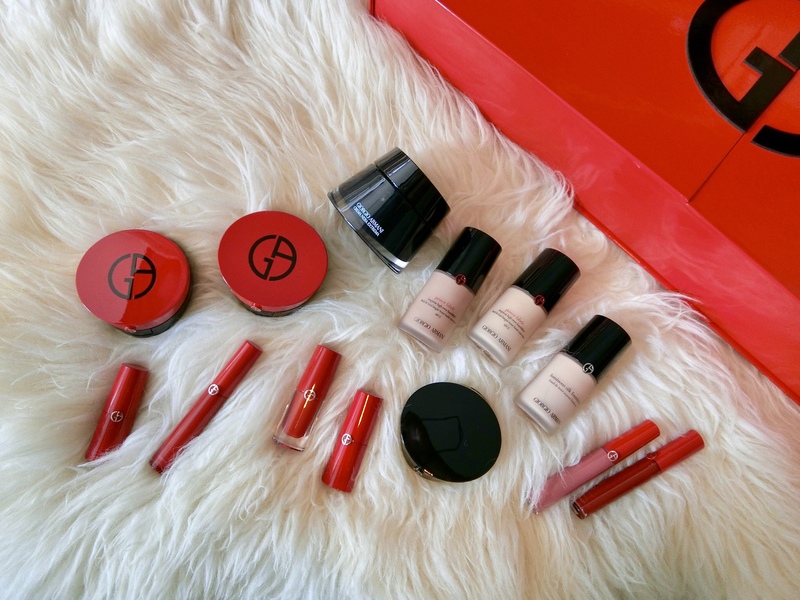 Apart from its sleek, bright scarlet packaging with the iconic GA logo, the products are luxuriously formulated for women on-the-go. My Armani To Go Cushion offers a satin-matte finish, lightweight, medium coverage, and moisturising skincare ingredients with SPF23. The label’s lipsticks are also a hit, especially the iconic rich red #400. The award-winning Lip Maestro Liquid Lipstick is packed with pigment, with a velvety-matte texture that is not drying. Also relatively long-lasting. Another of the brand’s bestsellers is the Luminous Silk Fluid Foundation. As its name suggests, it cocoons the skin with a comfort and lustre like liquid skin. Easy to blend, with medium to high-coverage and offering a glow, the formula is also award-winning and lightweight. To satiate demand for its coveted products, Giorgio Armani launched its first store at Tang Plaza, Orchard Road, last month. It stocks the entire range of colour cosmetics, as well as its signature perfumes and skincare.